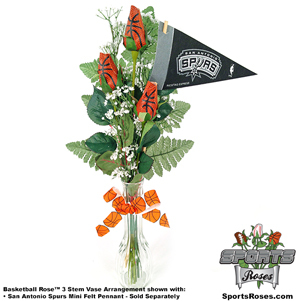 Impress a basketball fan by adding an NBA mini pennant of their favorite team to their Basketball Rose arrangement. All 30 NBA teams available. 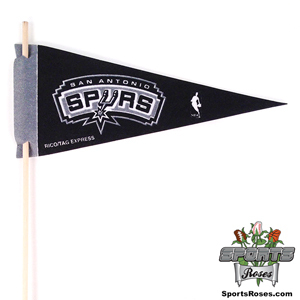 The pennant measures 4" x 9" and features a team logo on one side. The reverse side is white. 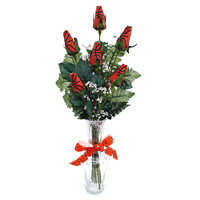 Combine an NBA mini pennant of your gift recipient's favorite basketball team with a Basketball Rose Vase Arrangement to create an unforgettable gift that lasts. 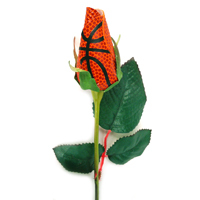 Basketball Roses feature petals handmade from the same material used on basketballs. 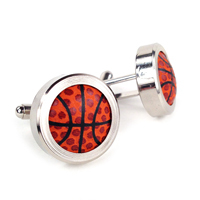 Perfect for displaying in an office, man cave, or memorabilia display.